Bring it on… snow that is! Toro snow thrower owners aren’t afraid of the snow. As a matter of fact, they can’t wait to get out into the brisk winter air and try out their Toro snow thrower! If you were caught without a snow thrower last winter, your shovel is probably worn out! Record snowfall throughout the country made a snow thrower hard to come by, but not at Power Equipment Warehouse. Our Toro snow throwers are always in stock and ready to ship. Toro snow throwers are available in several types; electric, single-stage and two-stage snow thrower. 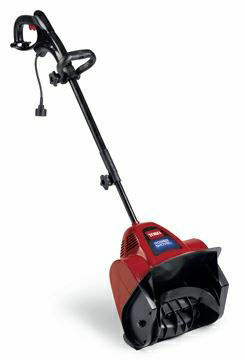 The small electric Toro snow thrower is designed for snow removal from small porches, patios, steps, and walkways. 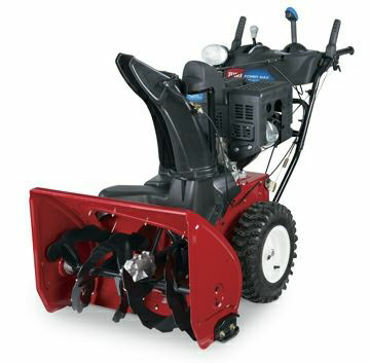 The Toro Power Curve® design is a standard single-stage snow thrower and offers a high speed rotor which gathers and throws the snow in one efficient motion. The rotor helps propel the unit forward as it cleans down to the pavement. This single-stage Toro snow thrower is ideal for most paved driveways and sidewalks and is offered in recoil or electric start. Quick Shoot® designs are available on specific Toro snow thrower models. If you have a large driveway, or a gravel driveway, you will need a two-stage snow thrower. These units are heavy duty and have a serrated auger that feeds the snow back to a high speed impeller that launches the snow out of the chute. All two-stage Toro snow throwers come standard with electric start and some models offer quick chute control, free wheel power steering, one hand interlock and multiple forward and reverse speeds. 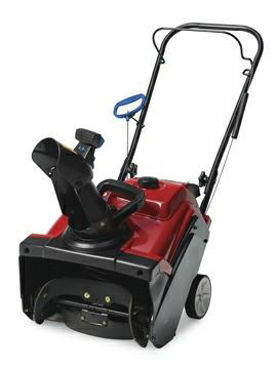 See specific Toro snow thrower models for exact features. Let Power Equipment Warehouse be your one stop for snow thrower parts. PEW carries parts for Toro, Honda, Husqvarna, MTD, Yard Machine and other brands of snow thrower units. Get your snow thrower ready for next year; buy the parts you need early and be prepared when the snow flies. Don’t get caught without the parts your unit requires. Call us with the brand, model and serial number of your snow thrower and we will send out the parts you need. If you have a two-cycle snow thrower, be sure you are mixing the oil and gas properly. Most snow thrower units are now 4-cycle only. We have parts for 2-cycle and 4-cycle units. Remember to start your snow thrower at the end of the season and let it run out of gas. If you don’t do this you may be buying more parts than you want! Leaving old gas in any engine will only lead to carburetor problems, so always remember to drain the snow thrower out of fuel. We stock snow thrower parts all year round, so even though the white stuff isn’t flying we can send you the parts you need any time. Don’t get caught with a broken snow thrower and have to use a shovel! Order your parts from Power Equipment Warehouse today!